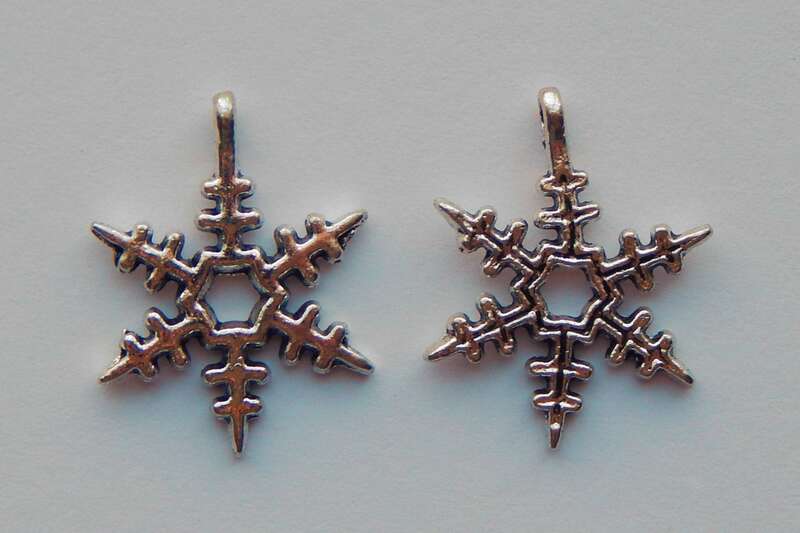 Pretty, double-sided snowflake metal charm dangles in antiqued silver color. 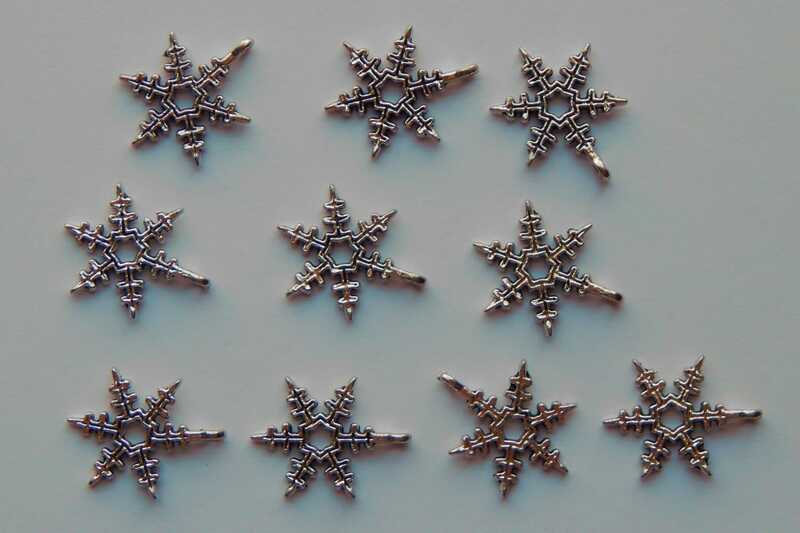 Charms measure 23.7mm x 18.2mm x 3.8mm thick, with a 2.5mm hole size for attaching. 1 piece, includes steel jump ring. 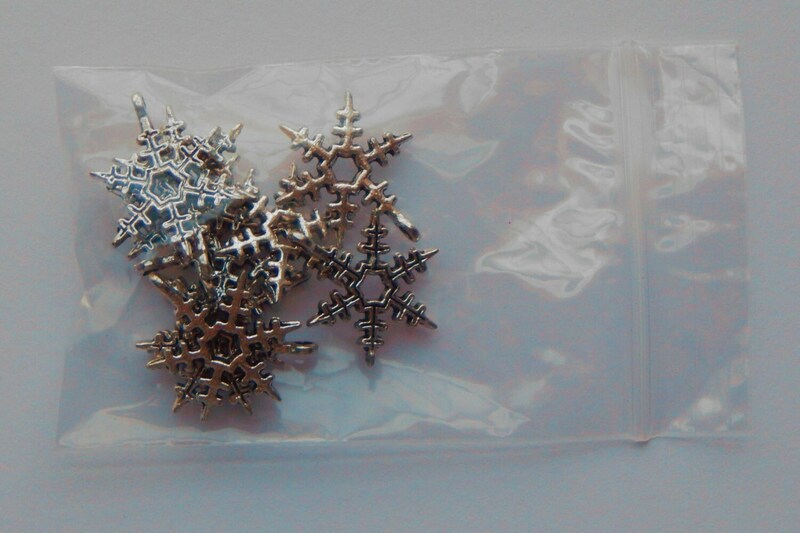 All shop items are in stock and ready to ship from the United States within two business days. 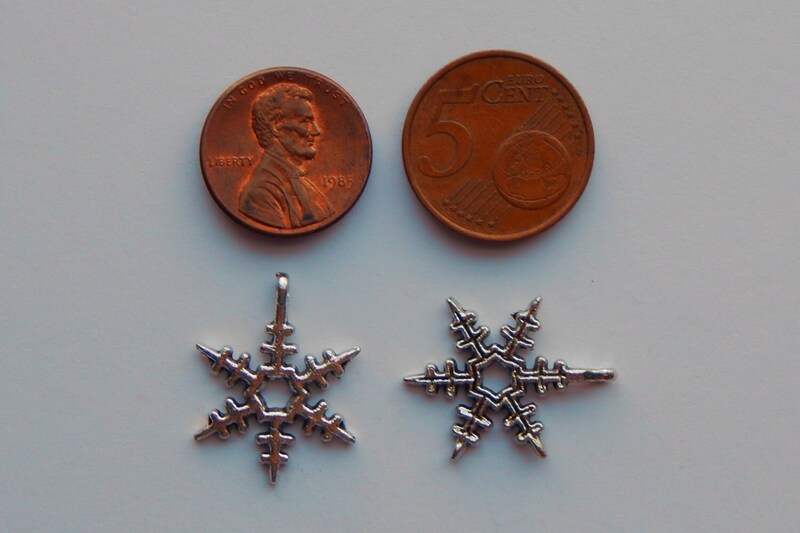 Charm is double-sided (slightly different pattern on each side). Shape is consistent among pieces. 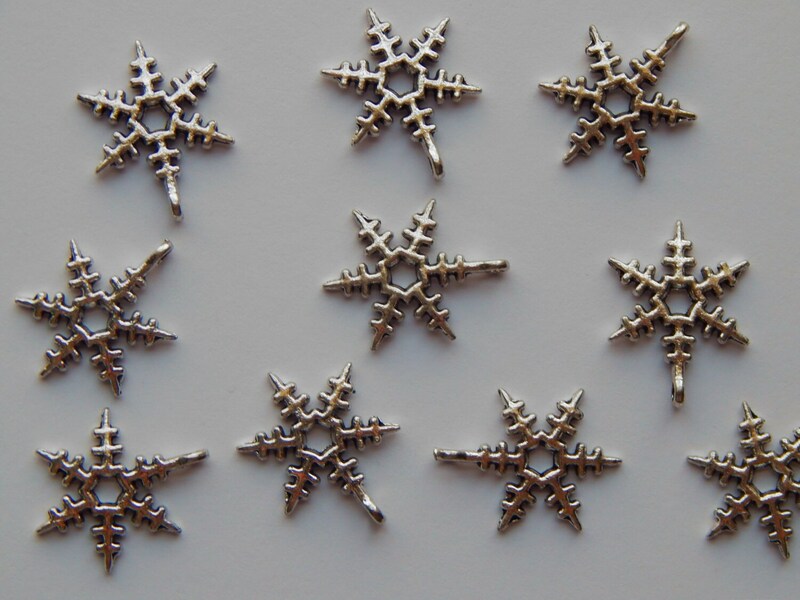 Alloy metal is lead free, cadmium free, and nickel free. Large size is great for a pendant drop for a necklace. Please see my shop announcement for any current promotions or coupon codes available. Even better, LIKE my Facebook page “Tulip Gifts” and follow @TulipGifts on Twitter!